Did you know that, before math or science or English, music teachers were the first to come up with national standards for what students should ultimately learn in class? Now, all 50 states have adopted variations of those standards. Today, Drum Corps International is helping to write a set that will be applied to marching music education. 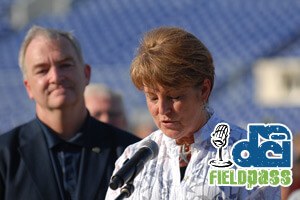 DCI's Dan Potter finds out more in today's Field Pass.